Greetings, Economics Majors, and welcome back to Fall Term! As you’re getting your classes in order and preparing for the 2016-17 school year, I wanted to remind you that I’ll be offering some resources in Economics Career & Advising Services to support your ongoing career development. I’m quite excited to be organizing this. Mark your calendar for Monday, October 10th in the beautifully remodeled EMU. I’ve invited a troupe of alumni back to campus for a conversation about making a successful transition from college to career. The panel discussion is designed to give you an idea of what kinds of careers are out there, how you can go about pursuing an internship or your first job, deciding whether graduate school is right for you, and really anything that you’re curious about. These Ducks have blazed trails in their respective companies, government agencies, and nonprofits and will be holding breakout sessions by major (economics, political science, sociology, and ethnic studies) to address your interests more succinctly. The event will be catered with snacks and beverages. Starting Week 1, the UOEC is back in session and invites you to attend their first meeting Monday of Week 1 at 6 pm (location TBA). This is an ideal way to connect with fellow students in the major, get to know what the faculty are researching, and contribute to ongoing projects that will build your resume, giving you credibility with employers. 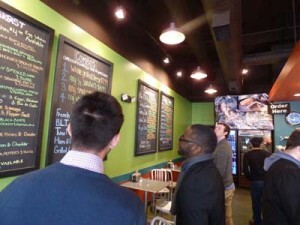 Each term, the UOEC goes on a business trip, as well, and these are always a great time. To top it off, there are opportunities for leadership, both formal and informal, in the organization, so I strongly encourage you to participate this term! Starting on Tuesday afternoons from 4-5 pm in PLC 412, I’ll be leading short workshops on career topics of interest to you. For the first one, which will be held on September 27th, I invite you to get a jump start on fall recruiting and career fair preparation as we learn the basics of resume development. This will not be a dry, boring lecture. Instead, I invite you to bring your laptops and tablets and we’ll work on creating a resume, step-by-step. Pizza will always be a highlight of these meetings, as well getting to know each of you better! Currently, there are about 10 spots remaining in my Careers in Economics class, which meets Tuesdays from 12-1:50 pm. EC 407 is a methodical way to approach your career development, starting with an assessment that matches your interests, values, and strengths to a spectrum of career options, and continuing with practical assignments to get you ready for fall recruiting. You’ll not only put together a resume and cover letter, you’ll learn how to effectively tailor them to each opportunity you apply for. From LinkedIn and career fair networking to interviewing and salary negotiation, this course covers it all. The fall career fair is a must-attend! Here, you’ll meet many of the decision-makers directly (recruiters, hiring managers), as well as alumni who can give insight into why they chose the job they are now working in. As we get closer, I’ll be offering helping you to prepare for the fair through my Tuesday workshop (see above), as well as my weekly communications. Each week, you will be receiving fresh leads to emerging full-time, part-time, and intern roles in Oregon, Washington, California, and beyond. You must be registered as an economics major to receive the digest, which will be delivered via your Duck email address. That’s me! My office hours this term are Monday, Thursday, and Friday from 9 am to 3 pm. Send me an email (wsherman@uoregon.edu) to schedule an appointment or stop by PLC 405. In addition, there are career specialists in the UO Career Center (http://career.uoregon.edu) who stand ready to assist you with your needs. I look forward to assisting you in the weeks ahead. The Economics Club has been very busy this year, and here is one more example—the first-ever UO Economics Club Review is now available online. The Economics Club Review was edited by Economics Club President Ben Nussbaumer, and the issue was assembled by Club VP Emilio Chacon. Contributors included Ethan McCormac, Jinn Low, and Anna Bezner. 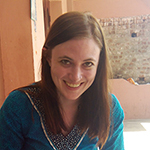 Recent Econ grad Emily White travels to India to conduct research on poverty and cognition. 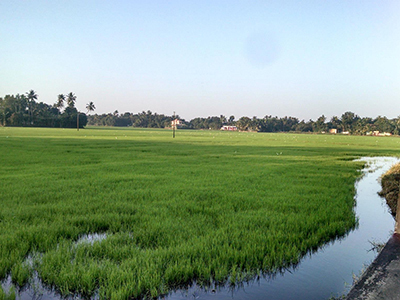 The sugar cane fields of Tamil Nadu in Southern India might be a world away from the UO campus in Eugene, but 2013 Economics graduate Emily White is getting plenty of opportunities to apply what she learned in class. “I think I’ve used information from nearly all of my 300- and 400-level econ courses in this job so far, and I expect to draw on more of that information as the job continues,” she says. Emily works as a research associate for ideas42, an organization that, according to its website, “uses behavioral economics to do social good.” She’s currently conducting research to study the impact of poverty on cognition, specifically how poverty affects decision making, and how impaired cognition might affect things like accident rates and preventative healthcare uptake. Emily’s home base is the city of Chennai, but her research happens in the small farming villages about four hours away. “We’re surveying rural sugarcane farmers who get paid for their crop just once per year to see whether they make different types of decisions before versus after they receive the harvest payment,” Emily says. 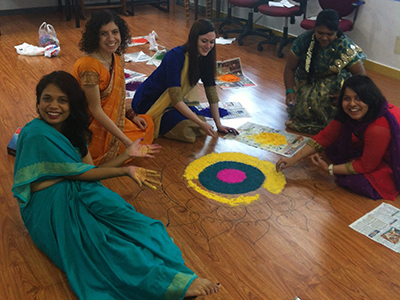 Emily White (third from left) and her co-workers create a Rangoli decoration during the Diwali celebration that happens in October/November. The professors coordinating the research are in the US and her research manager is in a different region of India, so she’s learned a lot about how to plan and organize a research project on her own, which has been challenging at times. “I work best when I have someone to talk to and bounce ideas off of, so I’ve had to be a bit more creative with that,” she says. But her favorite part so far? The fieldwork. “I’ve spent a lot of time speaking with farmers, healthcare workers, mill directors, and village officials about the daily life and typical challenges,” Emily says. The Tamil Nadu project is expected to take from nine to twelve months, and she’s nearly at the halfway point. After that, she’ll deciding whether she’ll continue on to graduate school, either for her master’s or PhD, in the hopes of continuing to do this kind of research. 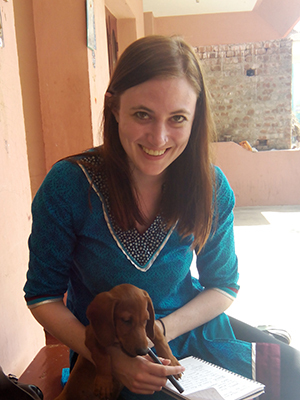 Emily with the family dog at a home visit during her fieldwork in a local village. 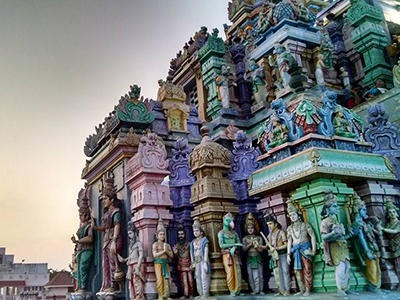 A local temple in Chennai. 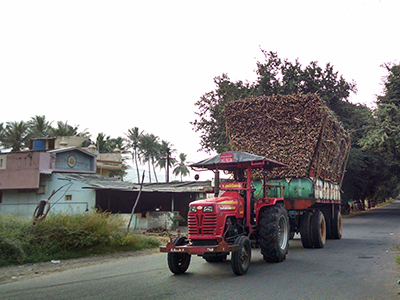 A tractor hauls sugar cane to a local mill. 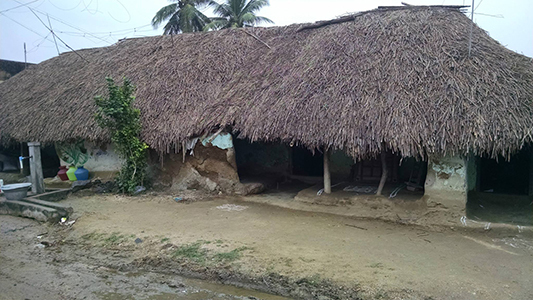 A traditional home in a village in Tamil Nadu where Emily White conducts some of her research for ideas42. Emily White (third from left) creates a Rangoli from colored flour with her coworkers as part of the annual Diwali celebration. 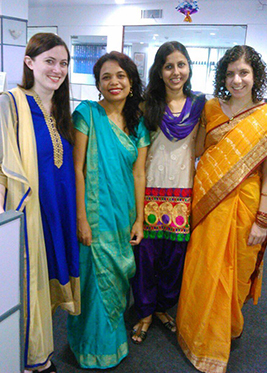 Emily (left) poses with her co-workers in traditional clothing. 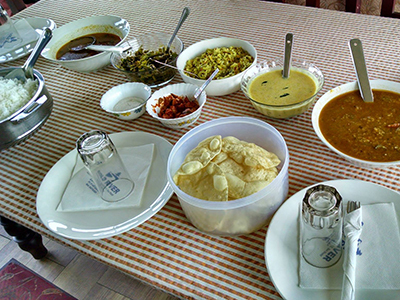 Food is laid out for a special meal with Emily’s coworker’s family on a visit to the neighboring state of Kerala, India. 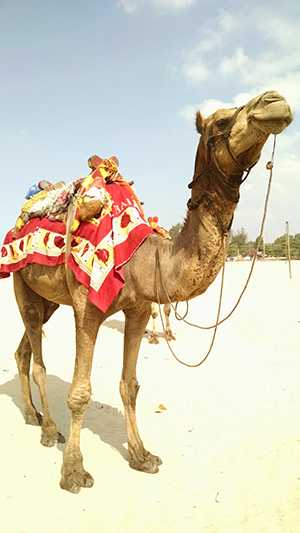 A camel that Emily spotted during her visit in Kerala. Barely two years out of college, Charlie Campbell has already had experiences most soon-to-be-graduates only dream about: Forming a Silicon Valley startup with more than $1 million in sales volume its first year. Helping to found a business with international connections. A chance to be a market leader in not just one, but two, different industries. Charlie and his partner founded Buckete—what many consider to be the first consumer-to-business (C2B) marketplace in the world, helping consumers join forces to negotiate better prices on everything from pianos to strollers to electronics. 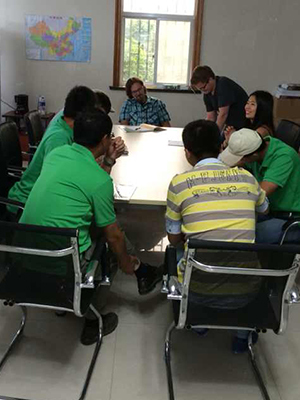 In December 2013, Charlie joined Haining Oregon Nursery Technologies Co. Ltd. (HONT) as the firm’s general manager. The company exports premium quality trees from Oregon to China. 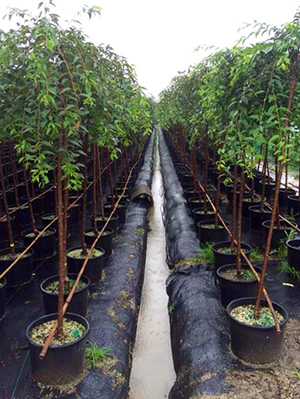 In its first year, HONT exported 557,000 trees from Oregon, transplanting them in a massive commercial nursery in Haining, China. Charlie manages everything from day-to-day operations to forming strategic relationships. Beginning with a team of just four people in February, he expanded the team to more than 150 by March and accomplished the record-breaking achievement of potting all 557,000 trees in six weeks. 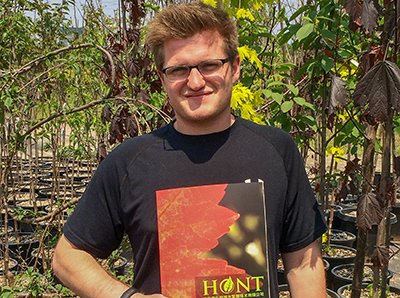 In 2015, HONT plans to expand its facility to upwards of 150 acres of land for planting trees, in addition to their current 50 acre site. The company currently has between 40-180 field laborers depending on the season. 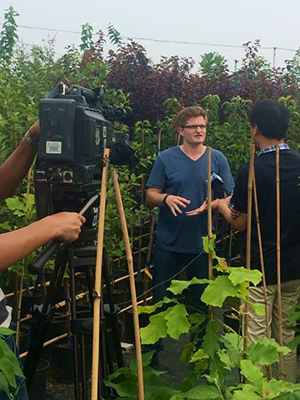 Charlie credits his knowledge of Mandarin and completing a six-month internship in China for landing his current gig. “My real interview came back in 2011 when John Ramig, founder and President of Global Trade Advisors (GTA), offered me an internship in China. Bruce Blonigen and William Harbaugh played a huge role in allowing me to follow my dreams. They supported me taking a term off and helped me graduate early to pursue the startup company,” he says. Also, he believes that his economics training has given him a big advantage. “The Econ department taught me how to pragmatically look at and break down problems. Econometrics also turned out to be an invaluable tool. Data is all around us and easy to get—the challenge is pulling meaningful results from the data,” he says. Charlie Campbell (standing) facilitating a HONT production meeting. Charlie Campbell, shown in the HONT nursery with hundreds of Oregon trees in the background. 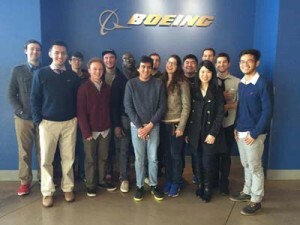 Fifteen students tour Boeing, Amazon, and the Seattle Federal Reserve on a department-funded trip. 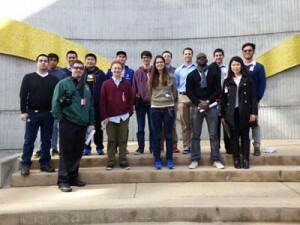 On March 5–6, 15 members of the UO Econ Club set off on a trip to Seattle for an annual trip to see some of the top employers on the West Coast and learn a little more about the nation’s monetary system. The students drove in two eight-passenger vans to Seattle on a Thursday afternoon, and stayed overnight in a local hotel. 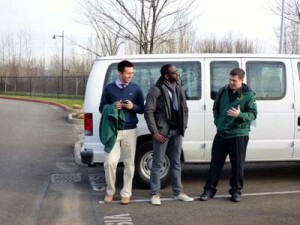 The next morning, they began their visit at the Seattle Federal Reserve, located in Renton. Kimberly Teoh is the chair of events and fundraising for the UO Econ Club and helped to organize the trip. She was amazed by the level of security required to enter the Federal Reserve facility. “It was a little bit intimidating. We couldn’t even put our hands in our pockets when entering the cash processing center,” she says. The students were able to see how the currency and checks were processed in the facility, and were taken to see huge rooms full of cash. As a student currently taking the EC 480 International Finance course, Kimberly found the information they learned on the tour was very relevant to the topics covered in class. The last stop of the afternoon was the Boeing plant in Everett, where the group was able to view various 777 and 787 Dreamliner aircraft in the process of assembly. The hangar was massive—with huge cranes similar to those you’d see construction site housed inside. “It’s the biggest building by volume in the world,” Kimberly says. 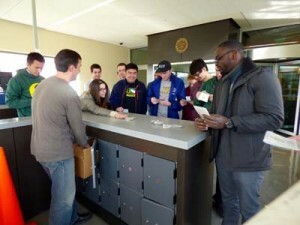 This annual Economics Club trip is made possible by donations to the Department of Economics from alumni and other supporters. You can support the department by donating using our online form. Econ Club members gather in preparation for the trip. The students left Eugene for Seattle on Thursday afternoon. The group stopped for dinner at a local restaurant after arriving in Seattle. The first stop was a tour of the Seattle Federal Reserve, where they received souvenir bags of shredded currency. 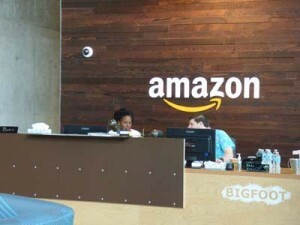 The front desk at Amazon, where treats are available for visiting dogs. 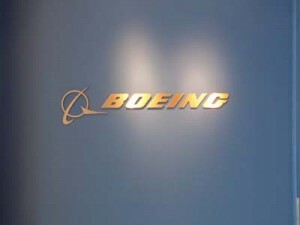 The last stop on the tour was a visit to Boeing’s Everett facility. 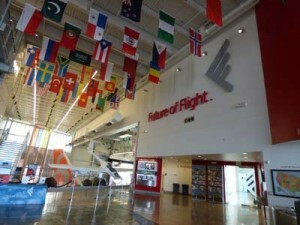 The Boeing plant included a large flight museum. 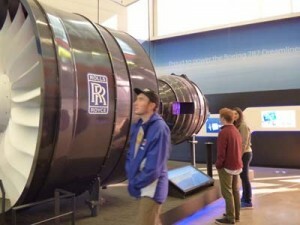 A close-up view of a Boeing jet turbine. 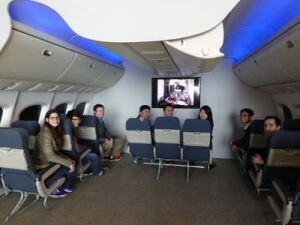 Students tour a plane interior. Students gather at the Boeing plant entrance. 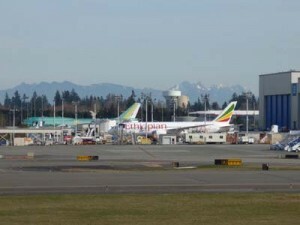 A view of the numerous aircraft awaiting delivery. The Bloomberg Aptitude Text (BAT) is a two-hour, 100 multiple-choice question exam designed to assess aptitude for business and finance. It connects students with employers looking to fill internship and entry-level positions. After taking the BAT, student scores are anonymously entered into the Bloomberg Talent Search database, which is searched daily by Bloomberg’s elite client base of more than 25,000 financial recruiters worldwide. The BAT will be administered on Friday, February 13 from1:30-3:30 pm in the North Lab at the Lundquist College of Business. Visit takethebat.com to find the UO testing session and register to take the BAT! More than 60 organizations including businesses, non-profits and government agencies are looking to fill a diverse range of positions. Some great opportunities for those looking to deepen their experiences and boost their resumes! The event starts at noon in the EMU Ballroom. The Career Center has a number of workshops and events planned for the coming months, so keep checking their website, as well as the Economics Department’s Undergraduate Events Calendar for other opportunities to get the most from your job search. And keep watching your inbox for the weekly Economics Job + Internship Digest, packed with dozens of opportunities especially suited for economics students.